The Philadelphia Museum of Art is among the largest art museums in the United States, showcasing masterpieces of painting, sculpture, works on paper, decorative arts and architectural settings from Europe, Asia, and the Americas. However, when it came to displaying moving images for a fixed installation in its video gallery, the Museum required a state-of-the-art display technology that could accurately reproduce the changing colors, varying brightness levels, and other unique subtleties of each artist's video visions. This need for a higher-resolution display device with precise color matching was the impetus for the museum's purchase of a Canon REALiS SX6 Multimedia Projector. "I researched projectors for a couple of years and I wasn't coming up with anything that was suitable as a replacement for our previous models, until the REALiS came along," explained Stephen Keever, Production Manager at the Museum. "I took a look at one of the Canon REALiS SX6 projectors with our vendor at Visual Sound, and I said 'Okay, there is finally something available that's reasonably priced that will be an improvement over what we have.' "
The REALiS SX6 Multimedia Projector employs Canon's proprietary AISYS-enhanced LCOS projection technology to display crisp SXGA+ (1400 X 1050) resolution images with a 1000:1 contrast ratio and 3500 ANSI lumens of brightness. Canon's AISYS (Aspectual Illumination System) optical engine equalizes the light from the projection lamp and maximizes the performance of the next-generation LCOS (Liquid Crystal on Silicon) display device employed by the REALiS SX6 Multimedia Projector to produce lattice-free, intricately detailed, rich-color motion- or still-image projection. Further enhancing the display quality of the REALiS SX6 Multimedia Projector is the optical excellence of its Genuine Canon 1.7x Ultra-Wide Powered Zoom Lens. 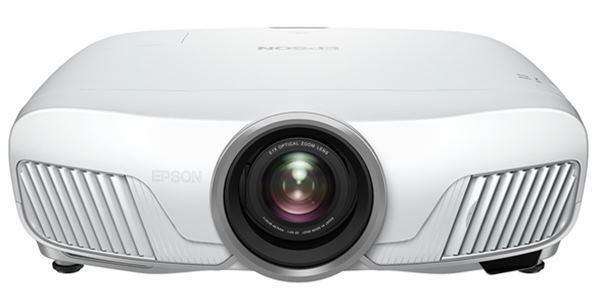 Featuring the widest zoom range of any of Canon's projector lenses, the REALiS SX6 Multimedia Projector's 1.7x Ultra-Wide Powered Zoom provides a diagonal screen size range of from 40 inches (at a very short projection distance of 3.9 feet) to 300 inches. Even at a distance of 9.8 feet, the REALiS SX6 Multimedia Projector can project at a screen size of 100 inches. Big, bright, crisp images were Keever's main concern when deciding on a projector. "Image quality was the most important thing that I was looking for," he recalled. "We wanted something that would look good with video, but it needed to be brighter than our previous projectors, which were only 1,500 lumens." In addition to clarity and high brightness, the REALiS SX6 Multimedia Projector offers outstanding color reproduction with its Adobe RGB Color Match System. A special RGB color filter on the REALiS SX6 Multimedia Projector reproduces colors in the Adobe RGB and sRGB color space, both of which are used by professionals for critical color-matching applications. Professional disciplines requiring precise color matching include professional photography and graphics, publishing, fine art, education, medical imaging and computer-aided design and engineering. Extensive control of the REALiS SX6 Multimedia Projector's color palette is accomplished using an on-screen Graphical User Interface. This easy-to-use feature includes Memory/Vivid Color Correction for adjustment of the vividness of each of the primary colors (red, green, blue) and secondary colors (cyan, magenta, yellow). In addition, the REALiS SX6 Multimedia Projector's Six-Axis (RGBCMY) Color Adjustment enables users to fine-tune the hue and saturation of each of the primary and secondary colors. The REALiS SX6 Multimedia Projector's color-matching features are extremely helpful when video artists are present for exhibitions, Keever noted. "Sometimes the artists come in and want to make adjustments so their work looks the way they feel it should look. Prior to the REALiS SX6, we weren't really able to do much color adjustment, and it was a problem with some of the LCD projectors we had in the past. An artist would show up and they would say, 'I didn't make the video look that way,' and you would have to admit that it wasn't what you wanted to be showing either. We needed true colors to accurately present what their art really is. The REALiS SX6 gives us that." The REALiS SX6 Multimedia Projector includes a wide variety of digital and analog video and computer display input interfaces, including an HDCP-compliant DVI-I terminal. The REALiS SX6 can also display HDTV video signals up to 1080i. The versatility of the projector was vital to the museum, as each exhibit had its own input and display requirements. "The projector needed to look good from a video-input signal, because we generally present from a DVD, so video input is the primary source. However, it also had to be able to handle NTSC and PAL signals, and look good with both 4:3 and 16:9 aspect ratios. The REALiS SX6 has been excellent. Regardless of input source, the image stands out more; it looks sharper, it looks brighter, and the colors look much better." For Keever, the performance of the REALiS SX6 Multimedia Projector has left an impression that will carry over to his future purchases for the museum. "The next time we have a gallery installation, I'm sure the REALiS SX6 is what we'll be choosing," he concluded. "We're an art museum, so the images that we present are what we are all about. The image has to be as accurate as we can make it. Video presents challenges that you don't have with paintings, because with paintings you just put them on the wall and light them correctly. When you are presenting video art, you really have to have a good system for presentation. The REALiS SX6 was the best looking projector for under $10,000 that I came across." Canon U.S.A., Inc. delivers consumer, business-to-business, and industrial imaging solutions. Its parent company, Canon Inc. (NYSE:CAJ), a top patent holder of technology, ranking third overall in the U.S. in 2006†, with global revenues of $34.9 billion, is listed as one of Fortune's Most Admired Companies in America and is on the 2006 BusinessWeek list of "Top 100 Brands." To keep apprised of the latest news from Canon U.S.A., sign up for the Company's RSS news feed by visiting www.usa.canon.com/pressroom.